There's nothing cooler to me than lap record attempt cars, where the design constraints of racing series and event rules are thrown out the window in the name of pure speed. That's what Volkswagen is doing with its all-electric ID.R after it obliterated the all-time Pikes Peak International Hill Climb record by 16 seconds, and I couldn't possibly love it more. The ID.R's next stop is the Nürburgring's infamous Nordschleife course whose lap records have a near-religious following among car fans across the world. 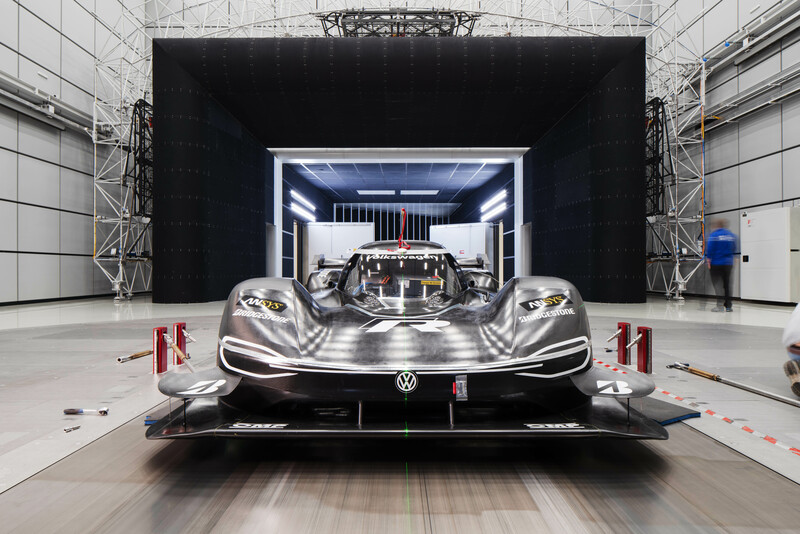 Volkswagen says they're chasing the 'Ring's 6:45.90 electric vehicle record, but they said they were just going for the electric record at Pikes Peak, too, and broke the overall record in the process. We're on to your tricks, VW. To allow the ID.R to go as fast as possible on the Nürburgring, Volkswagen is completely reworking the ID.R's aerodynamics. The biggest difference between Pikes Peak and the 'Ring is the air density. To make the most out of Pikes Peak's thin mountain air, every aerodynamic element on the car had to be wildly exaggerated to produce the downforce Volkswagen's team wanted. Those wild aerodynamic elements also produce a lot of drag, which isn't what you want on the longer wide-open sections of the Nürburgring. The fact that the 'Ring sits well over 7,000 feet closer to sea level means that there are more air molecules for the ID.R's various wings and canards to manipulate there. Thus, the effect of running the Pikes Peak aero on the 'Ring would be even more unwanted drag as it scoops up the thicker air. This is why Volkswagen is spending quality time in their wind tunnel to test out new solutions for running the ID.R at a lower elevation. So far, the car is getting a new front spoiler, an adapted floor and a trick new rear wing. After trying out different aerodynamic changes on a computer simulation, the team tested a 1:2 model of the ID.R, and then later moved on to testing the full-size car. 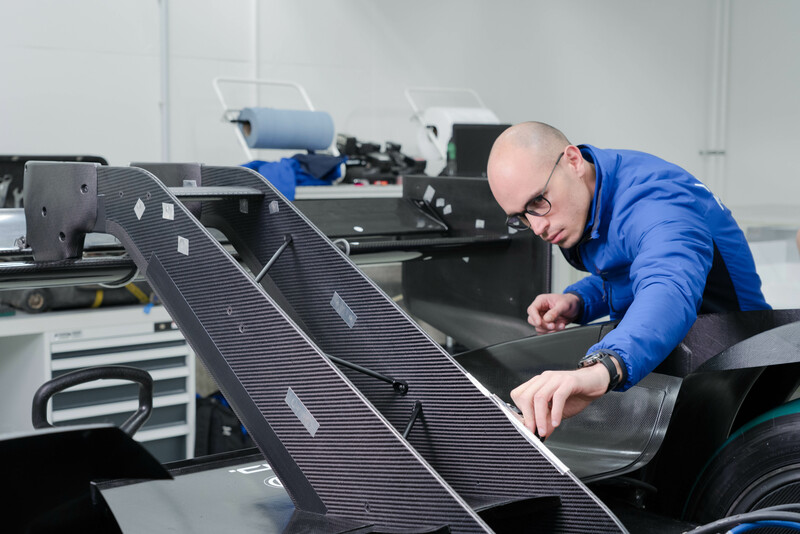 The team has also made extensive use of 3D printing in wind tunnel testing to make complex aerodynamic parts quickly and inexpensively. To reduce drag even further on the 'Ring's long straights, Volkswagen incorporated a Formula One-style drag reduction system (or DRS, for short) that opens up the rear wing to let more air pass through. 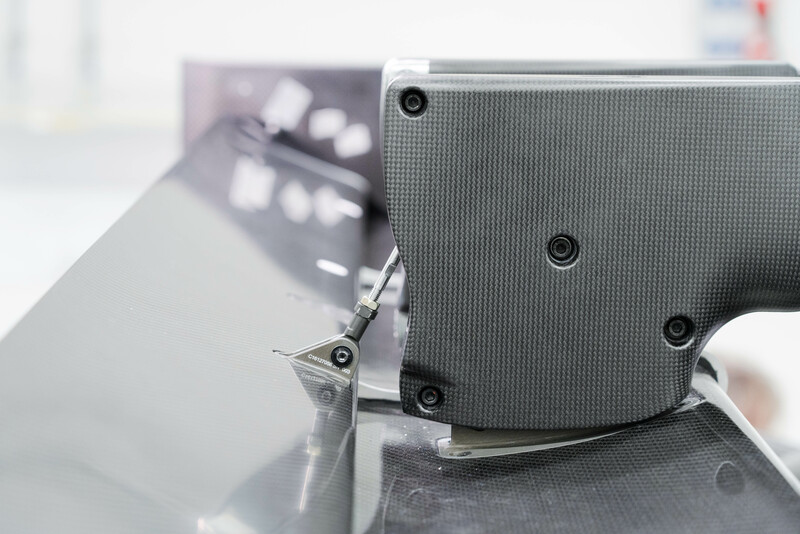 This movable wing element allows the car to reach higher top speeds on the straights and maintain its straight-line speed using less energy, but pops the wing element back down into place to provide extra downforce in the corners where you'd want it. According to Volkswagen engineer Hervé Dechipre, who is responsible for the ID.R's new aerodynamics, there's about a 20% difference in downforce between the open and closed configurations of the ID.R's DRS-enabled rear wing. The length of Pikes Peak's race course is very close to the length of the Nordschleife, only the latter has much fewer hairpins and an overall higher top speed. 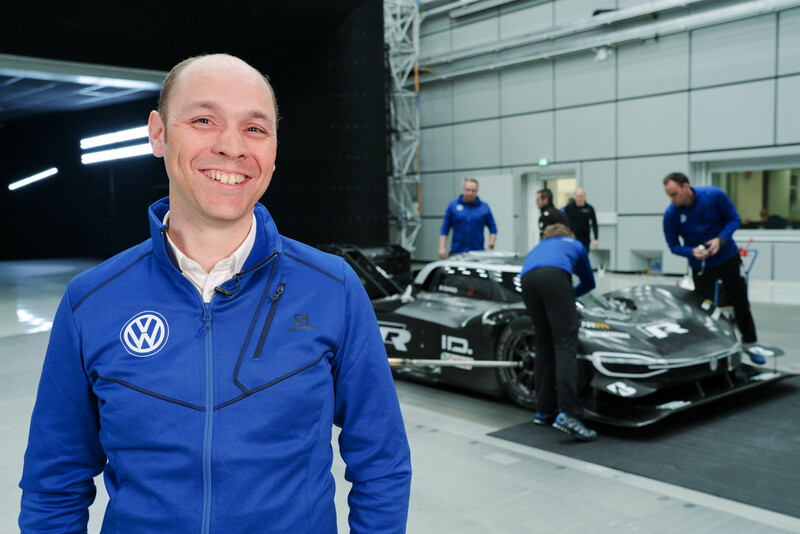 To set a new record, be it the electric record they're open about or the 5:19.55 all-time record that the Porsche 919 Hybrid Evo set last year, Volkswagen has to get the ID.R up to its top speed as quickly and efficiently as possible. One advantage the electric ID.R has over the overall-record-holding 919 Hybrid Evo is the need to incorporate fewer air intakes for cooling. "The electric motors operate with little cooling,” Dechipre said. “The ID. R, therefore, requires fewer air intakes than conventional race cars, which brings with it a great aerodynamic benefit." We'll have to wait and see if it pulls off a surprise overall record upset, though. Volkswagen plans to make its ID.R 'Ring record attempt this summer.